Together with their daughter Princess Alexandra, Grand Duke Henri and Grand Duchess Maria Teresa will be visiting the French capital Paris on Saturday. The three members of the Grand Ducal Family will assist at the blessing of a new bell, the Bourdon Marie, at the Cathédrale Notre-Dame de Paris. The Grand Duchess will become the patroness of the new bell. Another guest from Luxembourg for the mass that starts at 5pm is Archbishop Jean-Claude Hollerich. 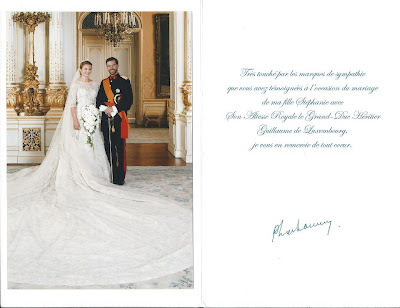 Not a whole lot to say really... Just wanted to show you the thank-you cards that both Hereditary Grand Duke Guillaume and Hereditary Grand Duchess Stéphanie as well as Stéphanie's father the Count de Lannoy sent out to the people who had sent their congratulations for the wedding day. And a big Merci to Valentin from the Royalement Blog for letting me use his scans! This afternoon Grand Duchess Maria-Teresa and Hereditary Grand Duchess Stéphanie visited the Maisons d'Enfants de l'Etat, the national children's home, in Schifflange. The two were accompanied by Marie-Josée Jacobs, minister of family and integration. At the children's home they were greeted by the director René Schmit. During the walkingtour of the facilities, the Grand Duchess and her daughter-in-law had the chance to talk to the children as well as some of the care workers. The Maisons d'Enfants de l'Etat is currently home to about 75 children, adolescents and young adults. There are multiple reasons for their stay; sometimes it was a choice made by either the children or their families, in other cases a decision by the court. More pictures of the visit can be found at Wort and RTL. RTL also covered the visit in their evening news (starting at 22:24). Today, Grand Duke Henri welcomed general Gaston Reinig, Chief of Defence of the Luxembourgish army, for an audience at the palais. It was time to bid farewell to the head of the armed forces who will become part of the permanent representation of the Grand Duchy to the United Nations in New York City on February 1st. A picture of the two gentlemen can be found on the website of the cour. The new Chief of Defence will be Colonel Mario Daubenfeld. In the light of the recent events in the Netherlands - earlier today Queen Beatrix has announced that she will abdicate and that the Prince of Orange will become King of the Netherlands on 30th April - we will have a look at similar events in the Grand Duchy. 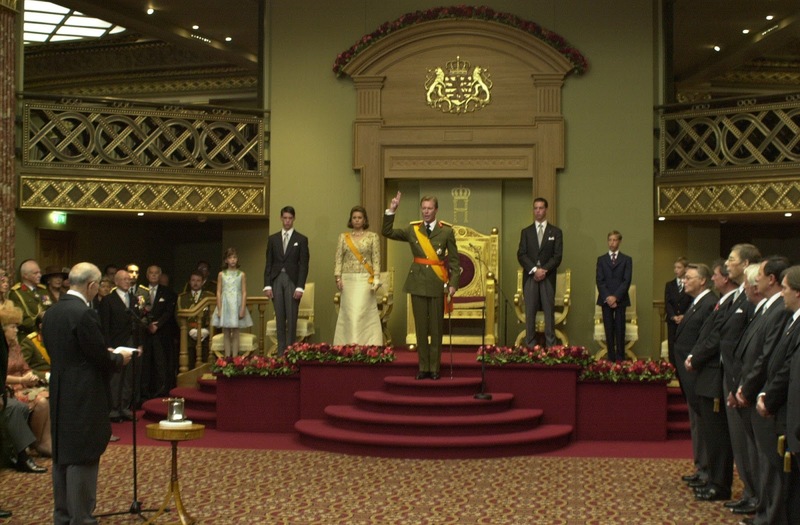 Queen Beatrix's abdication follows the example set by her mother and grandmother, so it can be regarded as something of a tradition. A tradition that does not only exist in the Netherlands but in another country ruled by another branch of the House of Nassau, Luxembourg. Neither in Luxembourg nor in the Netherlands abdication has quite the same connotation like it has in most other European monarchies. Over the past century or so, it has become something like a tradition for the head of state to step down at one point and to hand over their powers to their heir. It is not seen as a shocking and profound abandonment of one's royal duties but rather a very normal thing to trustingly hand over one's power to a new generation. It certainly did not start out this way when the very first abdication in the House of Nassau-Weilburg happened in 1919. Seven years earlier, Grand Duchess Marie-Adelaide had ascended to the throne at the tender age of 17 upon her father's death. From the very beginning she had done something that both her father, Grand Duke Wilhelm IV, and her grandfather, Grand Duke Adolph, had avoided - to mingle in politics. She had not been trained by her father in statecraft as he had been ill for a very long time. This, combined with the young Grand Duchess's strong Catholic faith, often led to clashes between her and the government as well as the political scene as a whole. Even though Grand Duchess Marie-Adelaide carefully kept within the boundaries created by the constitution, her enemies, who often were also against the church, tried to take advantage of her lack of experience to create sentiment against her. The outbreak of the First World War and the following occupation of Luxembourg by German troops did not help the cause of the Grand Duchess either. After initially having protested against the occupation, the Grand Duchess had tried to keep Luxembourg's neutrality throughout the War. After it's end, she was accused of having collaborated with the Germans. 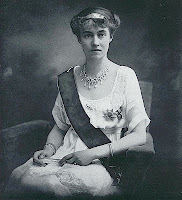 The perception of the Grand Duchess Marie-Adelaide as "pro-German" made her unpopular both within the population as well as on political level. On January 14, 1919 she gave in to the national and international pressure by abdicating from the throne and handing over powers to her younger sister, who would one day abdicate under very different circumstances. After her sister's abdication, Grand Duchess Charlotte's reign was off to a rough start as she had to face a referendum about the future of the Grand Duchy. In September 1919, 77.8 percent of the Luxembourgish population voted for the continuation of a Grand Ducal monarchy with Charlotte as head of state. The new Grand Duchess decided not to meddle in politics - much of the power her sister still had, had been taken from the head of state due to an amendment of the constitution anyway - and over the next decades she would become a very much beloved figure. During the Second World War she became strong symbol for national unity, resistance and freedom. On April 28, 1961, Grand Duchess Charlotte appointed her oldest son, then Hereditary Grand Duke Jean, Lieutenant Representative. While the Grand Duchess remained the nominal head of state, the Hereditary Grand Duke assumed most of the constitutional power. On May 4 that same year, he took the oath. After having reigned for 45 years, she signed the declaration of abdication in which she renounced the Crown of the Grand Duchy in favour of her oldest son Jean on November 12, 1964. "I feel I have reached the age to retire, and I think that Jean is the age to take over. After all, I am 68 now." Maybe she had not expected to reach the age she eventually reached. Had Grand Duchess Charlotte not abdicated and reigned until her death, she would have reigned for a total of 66 years and 173 days. Later on November 12, Grand Duke Jean took the oath as the new Grand Duke in a solemn ceremony at the Chamber of Deputies. A very similar pattern can be found in the events leading up to Grand Duke Jean's abdication in 2000. On March 4, 1998, the then Hereditary Grand Duke Henri was appointed Lieutenant-Representative by his father. "I'm deeply convinced that it is a wise decision to retire from the business of state after 35 years of reigning on the eve of a new millenium." The actual abdication was delayed due to car accident of Prince Guillaume and Princess Sibilla in which the prince was seriously injured and remained in a coma for three weeks. 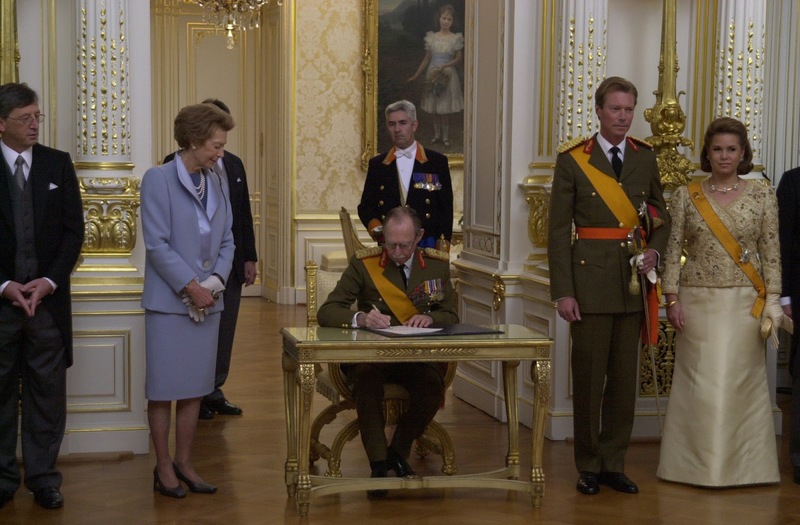 On October 7, 2000, Grand Duke Jean eventually signed the Grand Ducal Abdication Decree at the Grand Ducal Palace and thus handed powers over to his oldest son. Nous renonçons à la Couronne du Grand-Duché de Luxembourg en faveur de Notre Fils bien-aimé, le Grand-Duc héritier HENRI. 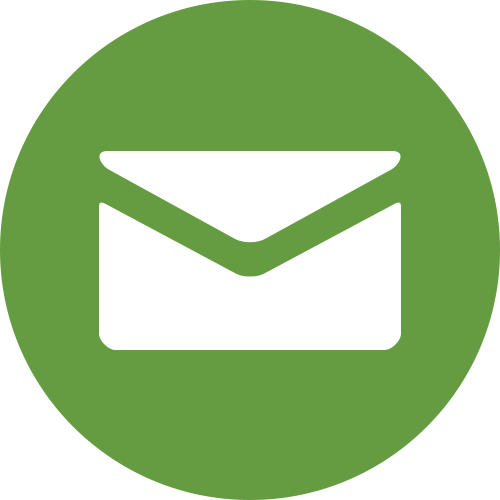 The second article deals with the procedure. Following the signing of the decree, prime minister Juncker held a speech in which he paid tribute to both Grand Duke Jean and Grand Duchess Joséphine-Charlotte. Later that same day, the swearing-in ceremony took place at a solemn sitting of the Chamber of Deputies. Grand Duke Henri took the oath according to Article 5 of the constitution at around 11am. "I swear to observe the Constitution and the Laws of the Grand Duchy of Luxembourg, to maintain the national independence and integrity of the territory, as well as public and individual liberties." Afterwards, he delivered the enthronement speech. (You can find an English version here.) The event was attended by members of the Grand Ducal Family as well as Queen Beatrix of the Netherlands and King Albert II and Queen Paola of the Belgians. 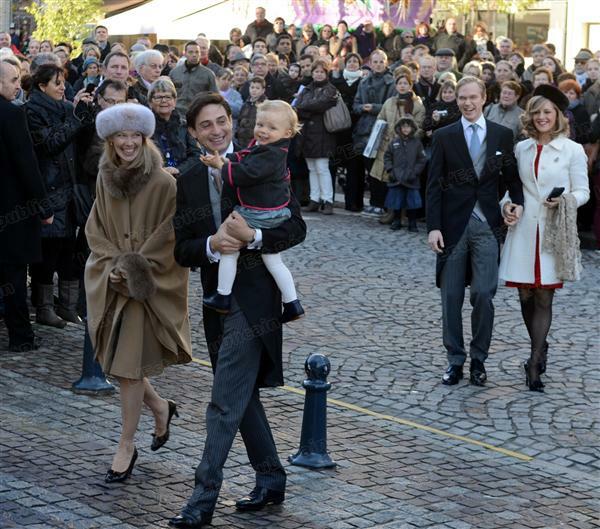 After the ceremony at the Chamber of Deputies, the new Grand Duke Henri, Grand Duchess Maria-Teresa and their children walked back to the palais where they appeared on the balcony together. During the course of the day another few events like a church service as well as receptions took place. Once the time comes, we can expect similar things to happen on the day and in the lead up to Hereditary Grand Duke Guillaume's accession to the throne. 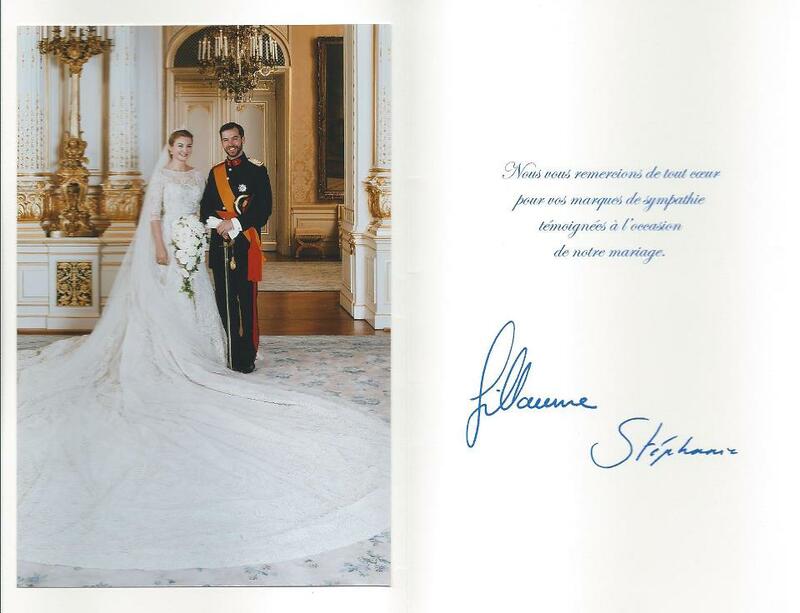 It has been exactly 100 days since the joyful wedding of Hereditary Grand Duke Guillaume and the former Countess Stéphanie de Lannoy today. To celebrate the occassion - well, not really - the two visited Doneck Euroflex, a print ink producer in Grevenmacher this afternoon. With a history of over 30 years, the medium sized print ink producer employs about 80 people in four countries. Doneck Euroflex is a partner of several European printing presses. 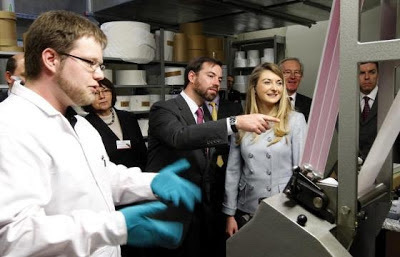 Hereditary Grand Duke Guillaume and Hereditary Grand Duchess Stéphanie were given a presentation about the company's activities and toured the facilities afterwards. To round up their visit, a reception was hosted. A galleries of visuals can be found over at Wort, Manuel Dias and the cour. Tomorrow, Stéphanie will accompany her mother-in-law on a visit to the national children's home. After an agreement between Liechtenstein's government, the Prince Franz Josef foundation and the Goethe-Institut was signed around noon on Friday, a lecture by the president of the institute, Klaus-Dieter Lehmann, took place at the national museum in Vaduz in the evening. Prince Nikolaus, husband of Luxembourg's Princess Margaretha, took part in the lecture by giving the opening speech. To add to our recent posts about the Liechtenstein adventures: A video of Prince Nikolaus meeting the president of the International Commitee of the Red Cross can be found here, another video of the signing of the agreement with the Goethe-Institut is available here. Together with Liechtenstein's minister for justice, foreign and cultural affairs Aurelia Frick and Klaus-Dieter Lehmann, president of the Goethe-Institut, Prince Nikolaus of Liechtenstein, in his capacity as president of the Prince Franz Josef of Liechtenstein foundation, signed an agreement about future cooperation between the principality and the non-profit association. The Goethe-Institut is the Federal Republic of Germany’s cultural institution and operates worldwide. Their aim is to promote studying the German language as well as culture exchange. They also try to foster knowledge about Germany by providing information about its culture, society and politics. Until now, they also shared information about two of the other three German speaking countries, Austria and Switzerland. In the future this will change as the third one, Liechtenstein, will also be included. The Prince Franz Josef of Liechtenstein foundation, which is presided by the husband of Princess Margaretha of Luxembourg, will give packages of books about the principality to the more than 100 libraries of the Goethe-Institut worldwide. The contribution will also help to further promote the German language. More information, pictures and a video that includes a short interview with Prince Nikolaus can be found at Vaterland and Volksblatt. Princess Sibilla was among the mourners at the memorial service for Princess Margarita of Baden in the Serbian Orthodox Church of Saint Sava in London, today. The princess, daughter of Berthold, Margrave of Baden and Princess Theodora of Greece and Denmark, was the sister of the current Margrave of Baden, Maximilian, and niece of the Duke of Edinburgh. Between 1957 and 1982, Princess Margarita was married to Prince Tomislav of Yugoslavia. She died in Farnham, Surrey in the evening of January 15th after a long illness. 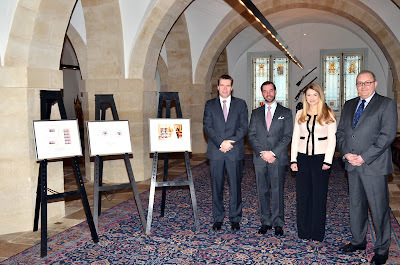 Two days ago, Hereditary Grand Duke Guillaume and Hereditary Grand Duchess Stephanie received Claude Strasser, general director of P&T Luxembourg, and Emile Espen, director of the stamps department of P&T, for an audience at the palais. Together they viewed the commemorative stamps given out of the occassion of their engagement and wedding. 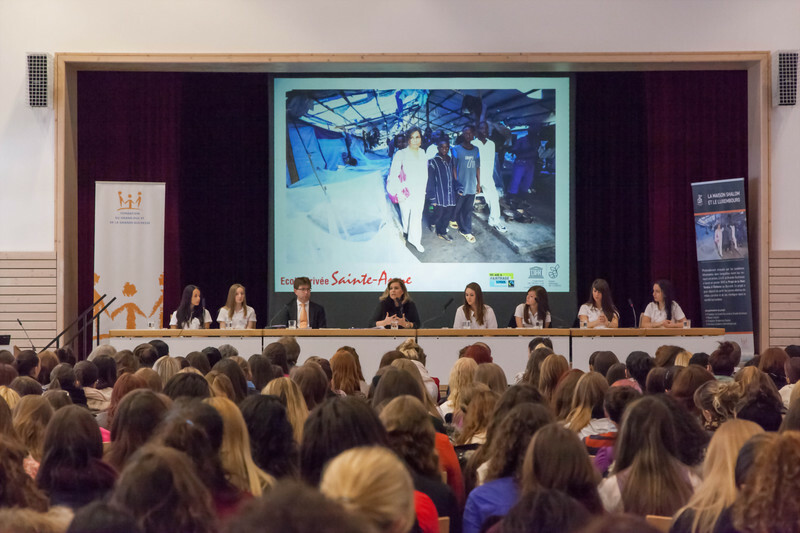 This morning, Grand Duchess Maria Teresa - in her capacity as president of the Fondation du Grand-Duc et de la Grande-Duchesse - visited the private school for girls Sainte-Anne in Ettelbrück. She participated in a (not so) round table discussion to talk about social welfare in Luxembourg, the Projet de la Main Tendue in Burundi supported by her foundation and the microcredit system. While browsing for more information, I found out that the school Sainte-Anne is a keen supporter of the Fondation regularly giving donations. 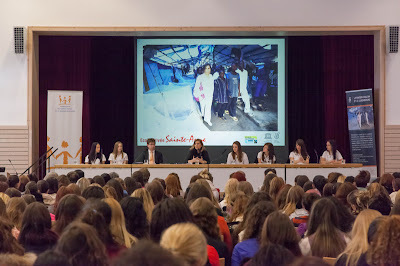 The discussion was part of the project Staark Fraen (Strong Women) initiated by the school under the theme "Equal Opportunities" to promote peace, human rights, tolerance and democratic values. Galleries of visuals and more information are available on the website of the cour grand-ducale, the Fondation and Wort. Liechtenstein's Hereditary Princess Sophie received the president of the International Commitee of the Red Cross Peter Maurer for an audience at the Schloss in Vaduz. Prince Nikolaus, husband of Princess Margaretha of Luxembourg and international delegate of Liechtenstein's Red Cross, was also present for the occassion. Back in November last year, Mr Maurer visited Luxembourg and was welcomed by the Grand Duchess for an audience. Today's sparkler goes by a few different names: commonly known as the Belgian Scroll Tiara or Société Générale Tiara, it is sometimes also referred to as Josephine-Charlotte's Belgian Tiara. From time to time even Congo is thrown somewhere in the name. All of these names reference either or both to the shape and the origin of the tiara. This diamond tiara was made by Henry Coosemans in 1953 and features arched and tapered forms with stylised crescent, palmette and scroll motifs. 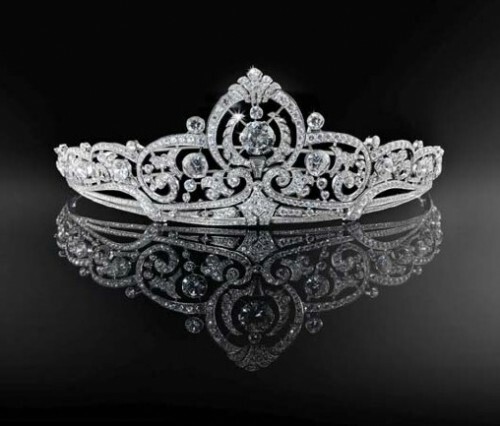 The tiara is made of no less than 854 diamonds with a total weight of 46.42 carats and set in platinum. All diamonds come from the former colony of Belgium, Congo. The tiara includes a detachable diamond of 8.10 carats to be worn as a ring. The central panel can also be detached and worn as a brooch. Sotheby's estimated the value of the piece between 80.000 and 140.000 euros. 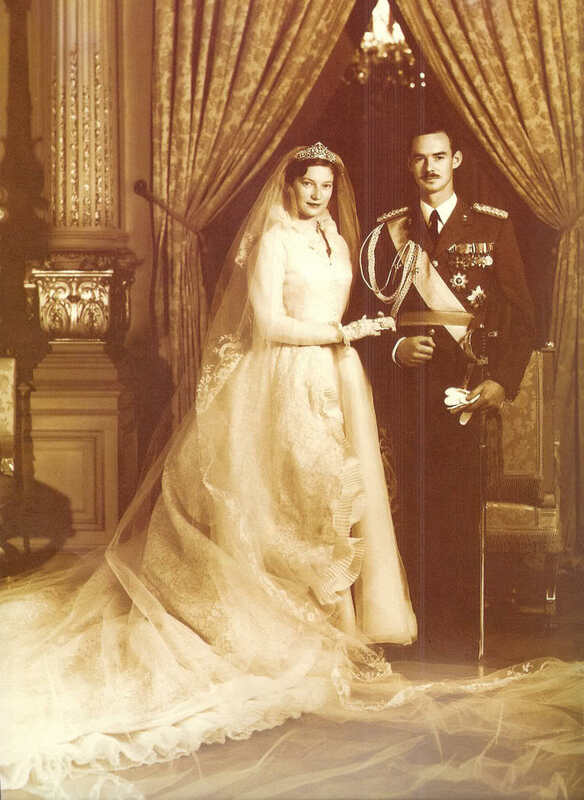 The tiara was given to then Princess Joséphine-Charlotte of Belgium on the occassion of her wedding to Hereditary Grand Duke Jean of Luxembourg by the Société Générale, a multinational bank with strong ties to Belgium, in 1953. Thus, the piece was personal property of the Grand Duchess until her death. For her actual wedding ceremony, Grand Duchess Joséphine-Charlotte wore the Congo Diamond Necklace Tiara, but for some reason - maybe the small size of the aforementioned tiara - she opted to also take wedding pictures with this tiara, which is totally fine with me and most tiara lovers out there, I suppose. Throughout her married life, the Belgian Scroll Tiara remained a favourite of Grand Duchess Joséphine-Charlotte. She wore it frequently for state visits, national day galas and other tiara events at home and abroad, even after her husband Grand Duke Jean abdicated. She lent it to her daughter-in-law Princess Sibilla on a number of occasions. After the death of Grand Duchess Joséphine-Charlotte, the family decided that they wanted to sell many of her jewels. Among them this tiara as well as the aforementioned Congo Diamond Necklace Tiara. The sale was already being prepared when a public outcry in the Luxembourg started. The public started to question everything, from the finances of the Grand Ducal Family to the relationships between family members. Polls showed that 79 percent of Luxembourgers were firmly against the sell of their late Grand Duchess' jewellery and thus the family stopped the sale. Though it did not stop them from selling most of the jewels anyway, just in quieter fashion. Nevertheless, the sparkler was saved from being sold off and is now frequently worn by Grand Duchess Maria-Teresa. We recenly received our one millionth reader and we didn't even notice (at first). 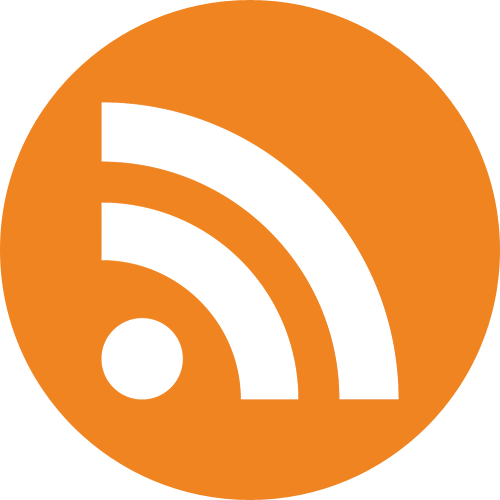 The blog had more than 85,000 readers in the final month of 2012 and, as you can imagine, in October we had nearly three times as many. This may not seem like much compared to other royal blogs who focus on the British and/or Monaco families and rake in a million readers every month. 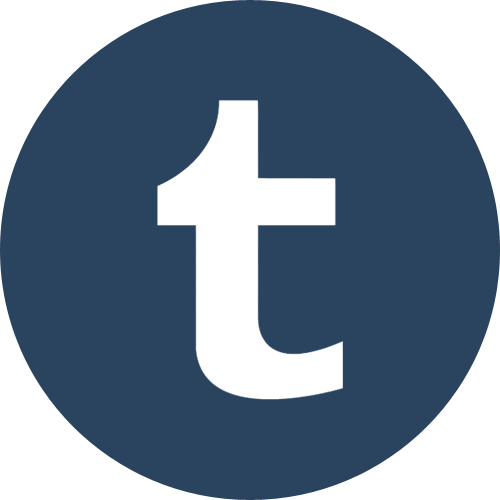 But, when you consider that our blog has an extremely narrow focus it is really amazing. We only cover Luxembourg's Grand Ducal Family with occasional bits on their Habsburg, Belgian and Liechtenstein relatives. Our readership is overwhelmingly American with residents of Luxembourg coming in a very, very distant second followed by France and Germany with the UK rounding out the top five following nations. We are always amazed that so many Americans are interested in Luxembourg and the Grand Ducal Family. 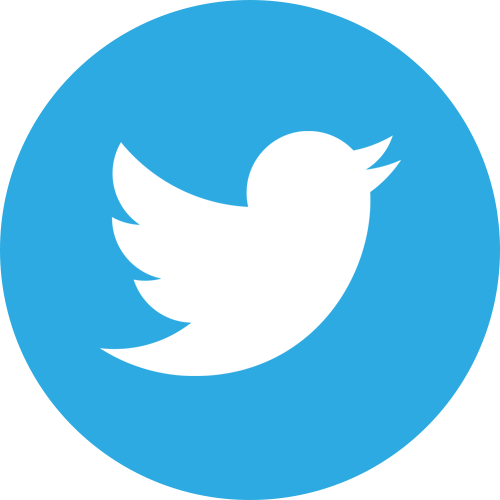 We would like to thank everyone who contributes by sending us news, first hand coverage, photos, links and even gossip. We really appreciate it. 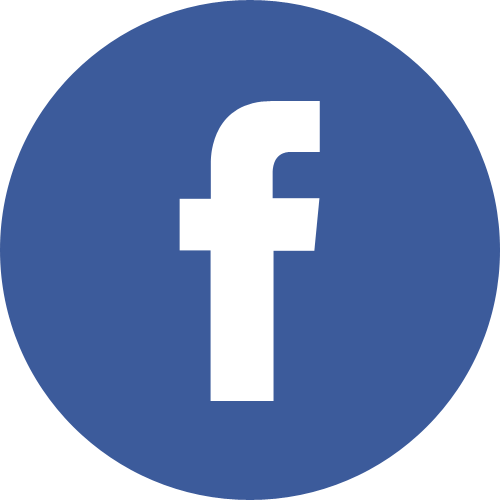 And of course thank you to you, our dear readers, for coming back time and time again to read the latest news about the Grand Ducal Family here at Luxarazzi!! We wish you a fabulous weekend! Two heads of states have announced that they will be visiting the Grand Duchy soon. Between May 27th and June 1st, the 15th Games of the Small States of Europe will take place in Luxembourg. Both Prince Albert of Monaco and Prince Hans-Adam II of Liechtenstein have announced that they will attend the opening ceremony of the Games, as will be Luxembourg's own Grand Duke Henri. The athletes from Luxembourg, Liechtenstein and Monaco will be joined by sportsmen from Andorra, Cyprus, Iceland, Malta, Montenegro and San Marino. All of those nine countries have less than one million inhabitants each. The Games of the Small States of Europe take place every two years, the athletes compete in eleven different Summer Olympic sports. 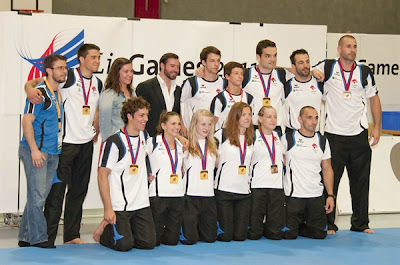 The Games last took place in Luxembourg in 1995. The Grand Ducal family regularly supports their country's athletes at the event. When it took place in Liechtenstein two years ago, Hereditary Grand Duke Guillaume and Princess Alexandra joined Liechtenstein's princely family in watching and cheering for the athletes. They were also on hand to hand out medals. On January 14th, the Grand Duchess attended a new year's reception honouring the volunteers of the Fondation Cancer. A day later, the welcomed a couple of gentlemen at the palais for an audience. All of them stand in some kind of relation to the pilot project of first microcredit in Luxembourg. 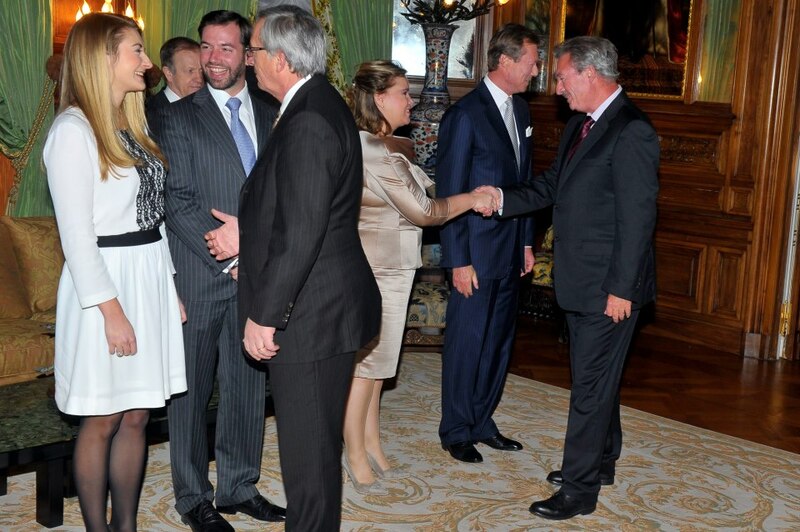 The same day, Grand Duchess Maria Teresa also welcomed the new directorate of the Red Cross at the palais; she is the president of the Luxembourgish section of the humanitarian movement. Grand Duke Jean, who recently turned 92, visited the local parish church in Fischbach to view the exhibition Eis Kierche verzielen, today. 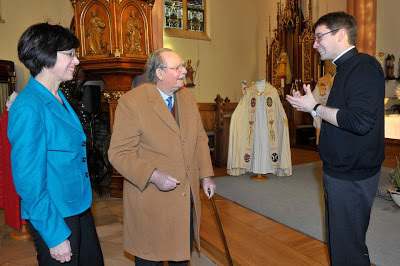 He was accompanied by Fischbach's mayor Marianne Brosius-Kolber and also met with priest Romain Richer. The Château de Fischbach, where the former Grand Duke lives, is located close to the small town with the same name. The castle is the only one that is still owned by the Grand Ducal family privately. Before the wedding of Archduke Christoph and his now wife, née Adélaïde Drapé-Frisch, kicked off, the couple paid respects to the archduke's ancestor by visiting Église des Cordeliers. Accompanied by Archduke Carl-Christian and Archduchess Marie-Astrid as well as the bride's parents, the couple went to the church for prayers and a time of contemplation at the tombs of the Dukes of Lorraine. Adélaïde also laid down a bouquet of flowers at the tombs. At 5pm the same day, the couple and close family members made their way to the Hôtel de Ville of Nancy for the civil wedding. The ceremony was officiated by the mayor of the town, André Rossinot. After they formally tied the knot, the couple appeared on the balcony of the town hall to greet the onlookers; they were joined by a few family members like Archduke Christoph's godfather Grand Duke Henri and Grand Duchess Maria-Teresa. The next day, on December 29th, the big day finally arrived. The couple who has known each other since about five years, when they met during their sabbatical years at Jeunesse Lumière, a school of prayer and evangelisation related to Charismatic Renewal, had chosen the Basilique Saint-Epvre as the locality for their wedding. At about 10pm the church was opened so that locals could enter as they would allowed to participate in the church wedding. A little while later a very royal set of guests started to arrive for the religious wedding of Archduke Christoph and Adélaïde Drapé-Frisch. After all the guests had arrived, the groom's father Archduke Carl-Christian arrived together with the bride's mother, Odile Drapé-Frisch; next up were Archduke Christoph and his mother née Princess Marie-Astrid of Luxembourg and finally the bride arrived together with her father Philippe Drape-Frisch, a diplomat and currently posted as the second advisor to France's ambassador to Saudi Arabia, in a Daimler owned by the Grand Ducal family. The bride wore a duchess satin gown made by Parisian designer Diane Lelys that included a five meter long train, a fur-trimmed jacket and a lace-y overlay underneath. The work on the dress had already started back in April, when the bride and the designer met through friends of the Drapé-Frisch family. Adélaïde topped of her look with an antique veil now belonging to the Habsburg family. There are quite a few stories where this piece of Alençon lace originated from and how it ended up in the hands of this branch of the family. The veil is often described as a heirloom piece that was originally used for the cradle of Napoleon II (1811 - 1832), son of of Emperor Napoleon I of the French and Archduchess Marie Louise of Austria. It was then worn by Empress Eugénie for her wedding to Napoleon III in 1853. After that, we pretty much lose track of the veil for more than 100 years. At some point in history it was given to Archduchess Yolande, the groom's grandmother and a born princess of Ligne, who then lent it to her granddaughter Marie-Christine as well as Kathleen and Adélaïde for their weddings. Additionally, she wore the same diamond tiara that the groom's sister Archduchess Marie-Christine wore for her wedding a few years ago. Interesting fact: it is said that the bride was accompanied by a bodyguard when she went to the hairdresser whose sole purpose it was to keep an eye on the tiara. The religious ceremony was headed by the bishop of Nancy and Toul Jean-Louis Papin, who was joined by no less than sixteen concelebrants, twenty-seven altar servers and two choirboys. The service lasted for about two hours. The music was provided by the organist of the basilica, a capella group Voxpop and a choir from Philanthropos, a school that was attended by both the bride and the groom. Archduke Christoph chose five witnesses, his brother Archduke Imre and his cousin Prince Louis, as well as three friends, Augustin Duranso, Loïc de Framond and Stanislas Godemel, who also did the first reading from the Book of Genesis. The second reading, this time taken from the Epistle to the Corinthians, was given by the groom's sister Archduchess Marie-Christine. Archduchess Adélaïde's witnesses were her sister Laetitia, her cousin Anne-Cécile Le Bihan and two friends of her's, Cécile de Framond and Anne-Emmanuelle Loriquet. Her other sister Alienor acted as her bridesmaid. 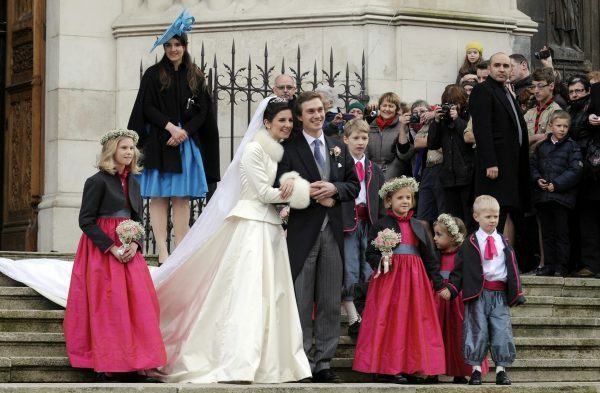 The bridal party was made up of two cousins of the groom, Princess Nora of Auersperg-Trautson, daughter of his father's sister Archduchess Constanza, and Prince Jean de Nassau, youngest child of Prince Guillaume and Princess Sibilla of Luxembourg. 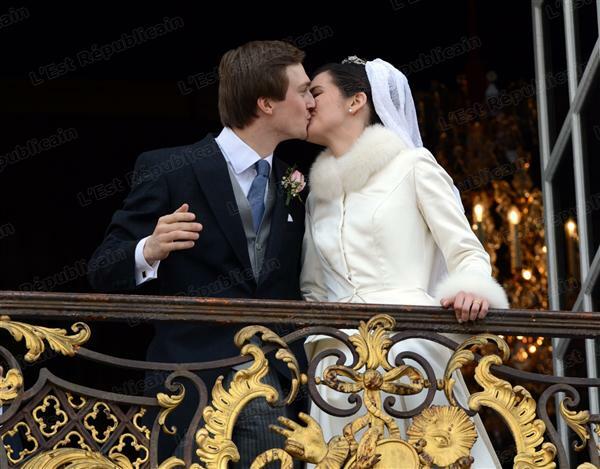 In addition two children of Christoph's cousins: Prince Noah de Nassau, younger son of Prince Louis and his wife Princess Tessy, and Archduchess Zita of Austria, daughter of Archduke Carl-Christian and Archduchess Estelle. 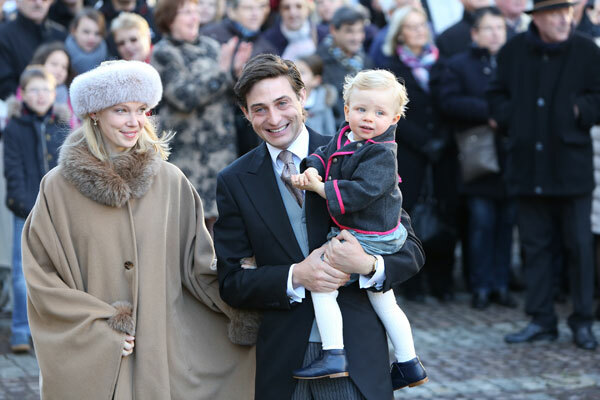 Also included was the groom's little nephew, son of his sister Marie-Christine, Count Léopold de Limburg-Stirum. The names of the other members of the bridal party were Jeanne Drapé, Agathe Drapé and Maximilien. 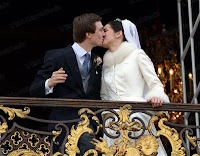 German magazine Bunte describes the mood in the church and throughout the whole wedding as being similar to that at the wedding of Crown Princess Victoria of Sweden and Prince Daniel. During the church service also Christmas songs, such as Adeste fidelis, were sung. When the couple left the church after the religious ceremony was over, they were greeted by cheering crowds. They then made their way to the Hôtel de Ville where they appeared on the balcony to greet the crowds and the almost obligatory kiss. Afterwards a reception was held at the townhall. In the evening, a gala dinner was held at the Grand Hôtel de la Reine opposite of Place Stanislas, where all the guests also stayed during the night. 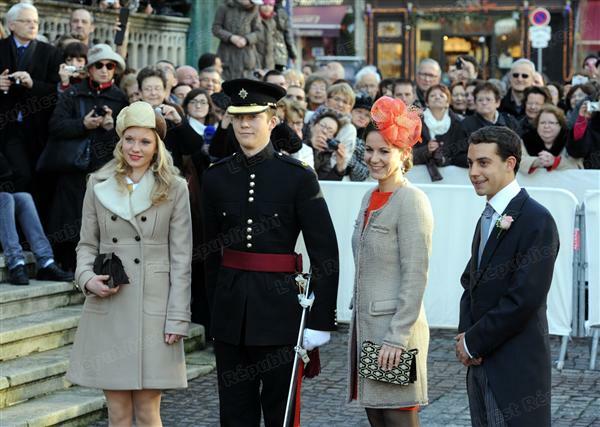 More guests including Prince Charles-Louis de Merode and his wife Prince Clotilde, as well as Katarina Esteve, daughter of Grand Duchess Maria Teresa's sister Catalina. All the cousins on both sides of the children of the grand ducal couple are very close and often refer to each other as cousins even though they are not technically related. A special mention to Valentin Dupont from the Royalement Blog for providing some of the information!! On January 10th, Grand Duke Henri visited the Grand Auditorium of the philharmonic hall to assist to the New Year concert of the Orchestre Philharmonique du Luxembourg. Conducted by Emmanuel Krivine, the orchestra played music by Johann Strauss (the son), Camille Saint-Saëns, Maurice Ravel, Boris Blacher and George Gershwin. A pictures of the Grand Duke arriving can be found on the website of the cour. In not totally unrelated news, the Jeunesses Musicales du Luxembourg have sadly announced their dissolution. Since 1946 Jeunesses Musicales tried to get children but also teenagers enthusiastic about making music and teaching them how to. The Jeunesses Musicales du Luxembourg were one of the patronages of Hereditary Grand Duke Guillaume. Reasons given were financial struggles, lack of candidates to become the new president and the competitive situation with the Orchestre Philharmonique du Luxembourg. Today, Grand Duke Henri and Grand Duchess Maria Teresa as well as Hereditary Grand Duke Guillaume and Hereditary Grand Duchess Stephanie consectively welcomed the bureau of the Chamber of Deputies, the president and the bureau of the Council of State, national authourities and the Prime Minister and the members of his gouvernment at the palais for audiences. More audiences on the occassion of the new year will take place tomorrow. For another picture, have a look at Wort, who also have a video report about the receptions. 92 years ago today on January 5th, 1921, Grand Duchess Charlotte of Luxembourg gave birth to her first child, a little boy named Jean Benoît Guillaume Robert Antoine Louis Marie Adolphe Marc d'Aviano, who would one day become Grand Duke Jean I of Luxembourg. He was named in honour of John (Jean) the Blind, Bohemian King and Count of Luxembourg of the House of Luxembourg. Being the first child of Charlotte and her husband Prince Felix de Bourbon de Parme, Jean had five younger siblings: princesses Elisabeth, Marie-Adelaide, Marie-Gabriele and Alix and Prince Charles. Growing up in the Château de Berg, Prince Jean was educated in Luxembourg before he went on to attend Ampleforth College in Yorkshire, a Catholic boarding school. Some of his grandchildren would later follow these footsteps. In 1939, on his 18th birthday Prince Jean was named The Hereditary Grand Duke of Luxembourg, a title he would hold until he succeeded his mother on the throne many years later. A year after Hereditary Grand Duke Jean reached maturity, German troops invaded Luxembourg in the course of the Second World War in the morning hours of May 10th 1940. Being warned beforehand, the grand ducal family as well as most members of the government were able to flee the country the night before. The family then lived in Paris, France for a short time before they had to flee yet again, via Spain and Portugal they arrived in the United States where they thought refugee, before the Hereditary Grand Duke went to Canada to study law and political science at Université Laval in Quebec City. After two years in Canada, Hereditary Grand Duke Jean went to the United Kingdom to join the Irish Guards as a volunteer to be able to fight in the war. After being trained at the Royal Military College in Aldershot, he was commissioned into the Irish Guards as a Lieutenant in March 1943 and in 1944 promoted to captain. Many years later in 1984, then Grand Duke Jean would become Colonel of the Regiment of the Irish Guards; three of his grandsons, namely Josef, Alexander and Wenceslas serve or have served time in this very regiment. 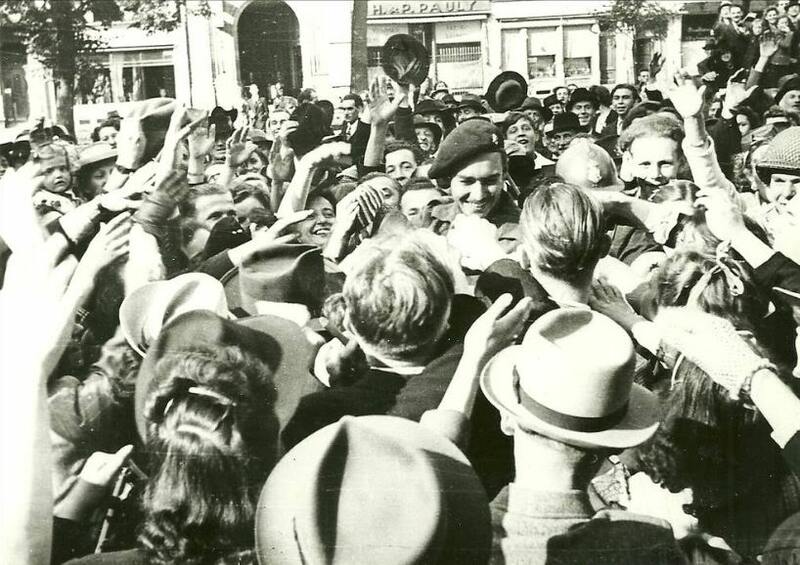 On June 11th, 1944, Luxembourg's Hereditary Grand Duke landed in the Normandy. As part of the 32nd brigade of the Guards Armoured Division, he took part in the Battle of Caens and the Liberation of Brussels. On September 10th, he crosses the Luxembourgish border for the first time since he and his family had to flee years earlier. Together with his father Prince Felix, he is greeted by the cheers of the masses and carried on the shoulders of the Luxembourgish citizens. Just a few days later, he goes back to his brigade with which he stays until the end of the war. On April 14th, Hereditary Grand Duke Jean comes back to Luxembourg upon the return of his mother, Grand Duchess Charlotte. 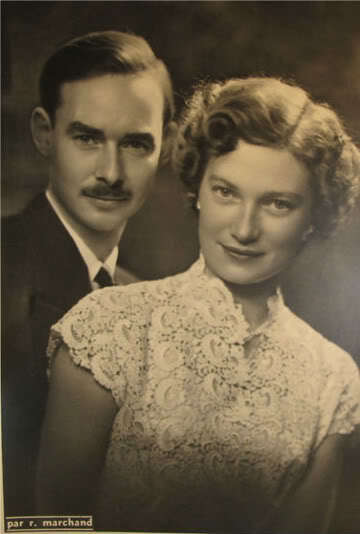 On April 9th, 1953, Hereditary Grand Duke Jean married Princess Josephine-Charlotte of Belgium, oldest child and only daughter of Leopold III of Belgium and his wife née Princess Astrid of Sweden. The couple went on to have five children: Princess Marie-Astrid (*1954), Grand Duke Henri (*1955), twins Prince Jean and Princess Margaretha (*1957) as well as Prince Guillaume (*1963). During his lifetime he was given many honours and awards like orders and honourary doctorates. Between 1951 and 1961 the then Hereditary Grand Duke was a member of the State Council. He held numerous patronages, was the highest scout of the Luxembourg Boy Scouts Association and a member of the International Olympic Comitee. On April 28th, 1961, Hereditary Grand Duke Jean was appointed as Lieutenant Representative by his mother, Grand Duchess Charlotte, meaning that he assumed most of his mother's constitutional powers. Upon Grand Duchess Charlotte's abdication on November 12th, 1964, he ascended to the throne as Grand Duke Jean I. of Luxembourg and took the constitutional oath before the Chamber of Deputies later that day. He would go on to reign the Grand Duchy for 36 years. 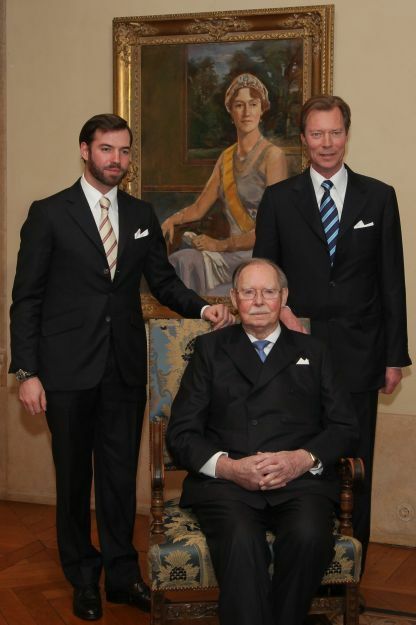 On Christmas Eve 1999, Grand Duke Jean announced his plans to abdicate in favour of his oldest son Henri. With a delay due to a heavy car accident of Prince Guillaume and Princess Sibilla, Grand Duke Jean finally officially abdicated on October 7th, 2000. Two years before he had already created his oldest son his Lieutenant Representative. 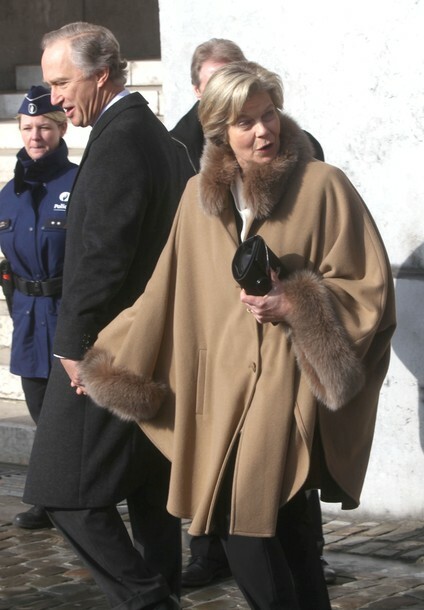 In 2005, Grand Duchess Josephine-Charlotte died suffering from lung cancer quietly at the couple's home the Château de Fischbach, where Grand Duke Jean continues to live. At the tender age of 91, the grandfather of 21 and great-grandfather of three, still carried out engagement every once in a while. Matters of enviromental conservation, plant and animal protection have always been close to Grand Duke Jean's heart. He is also interested in music and photography. During his younger years he enjoyed skiing, hunting, fishing, swimming and other water sports. Just a few days ago, Grand Duke Jean was present for the religious wedding of his grandson Christoph's wedding in Nancy.